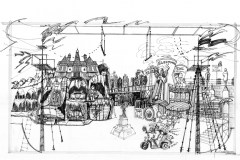 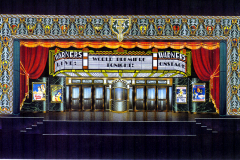 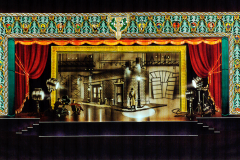 Set Designs for Six Flags Shows and Themed Events | designscape, inc. 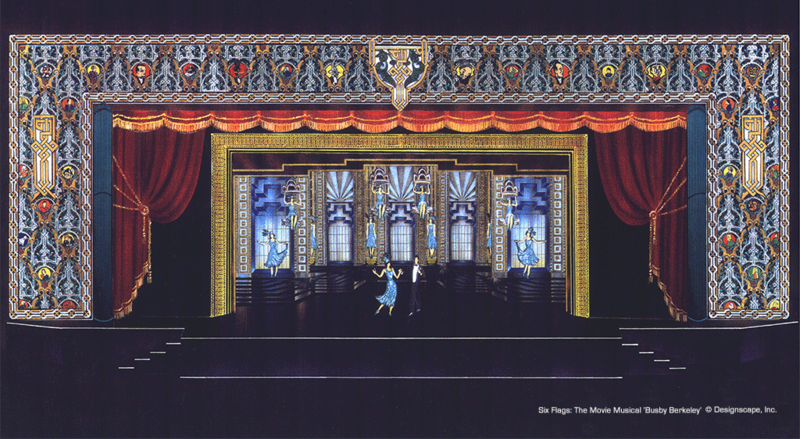 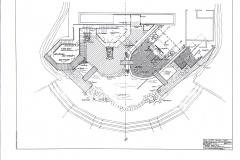 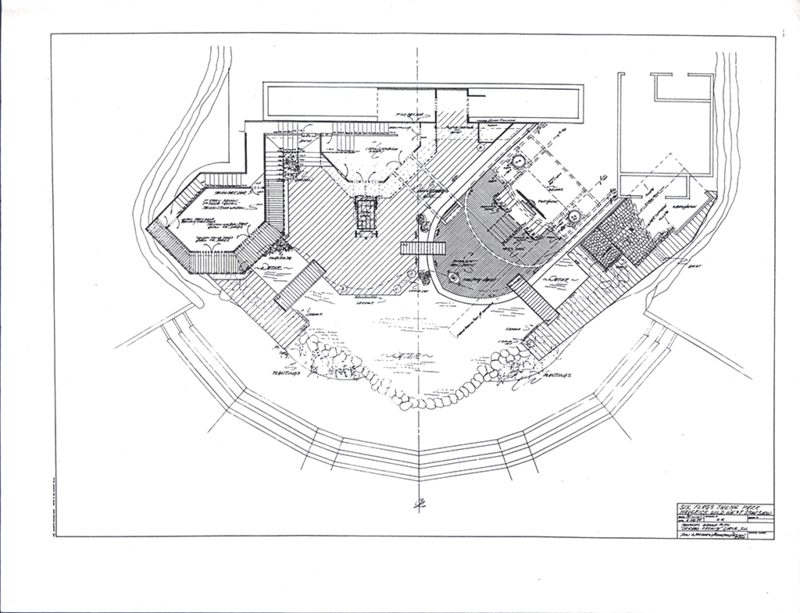 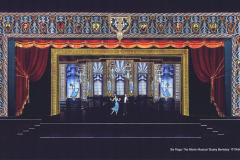 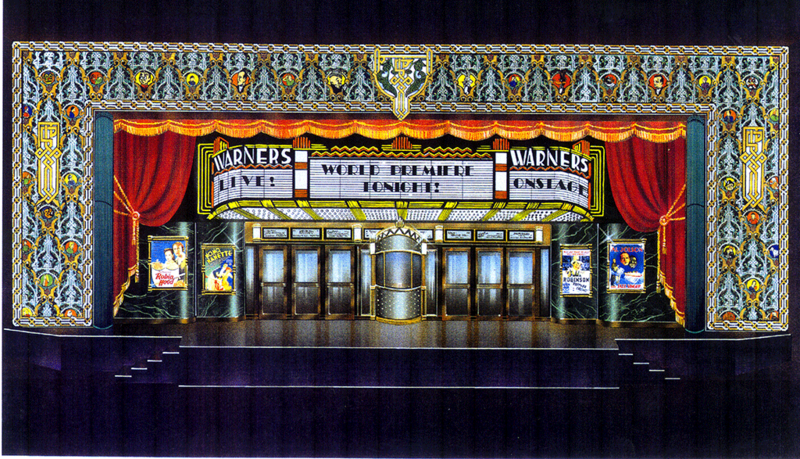 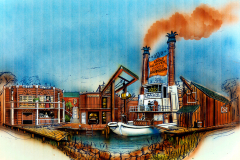 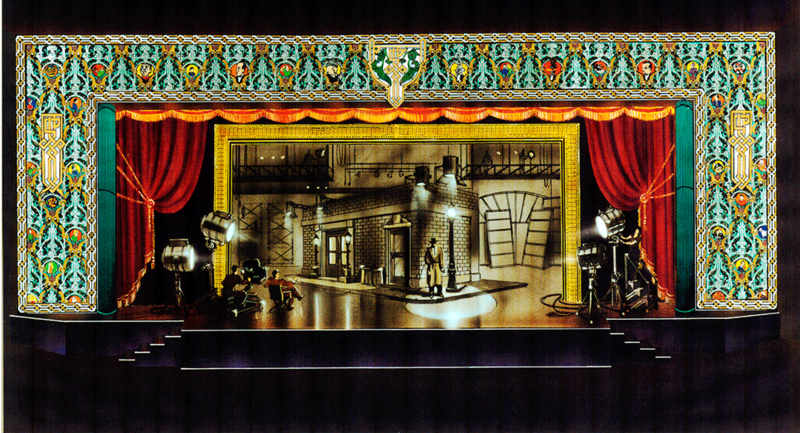 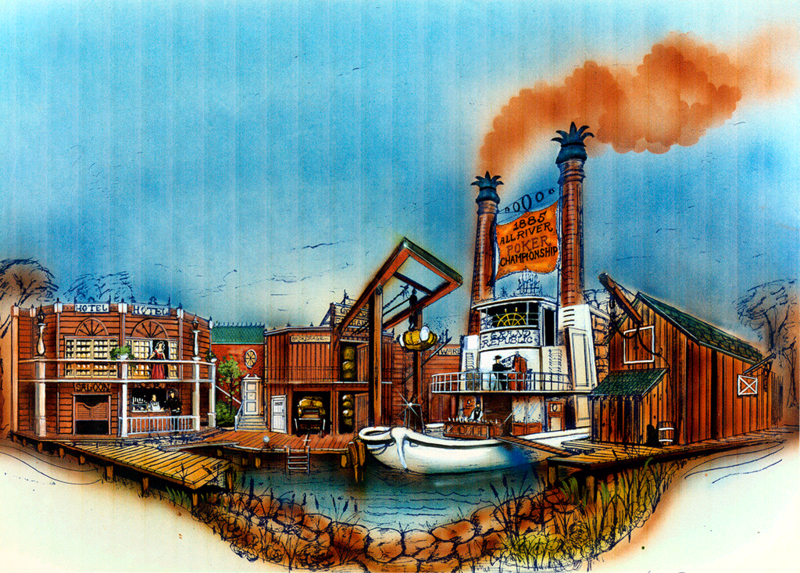 The following set designs were for a series of shows, events, and restaurant for Six Flags new productions. 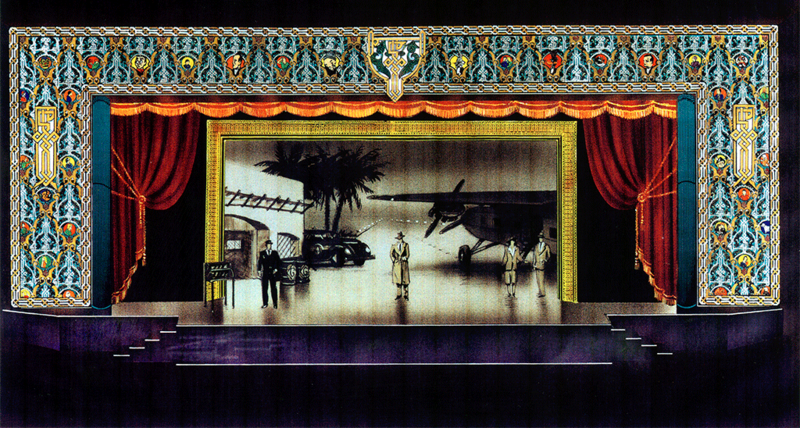 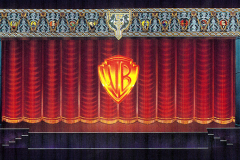 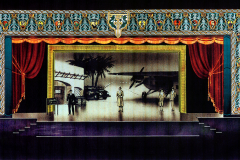 This included a Wild West Stunt Show, Batman stunt show and a fully staged musical theatrical production of ‘Movie Musicals’ which included famous scenes from the history of film, such as Casablanca, Busby Berkley, and many others. 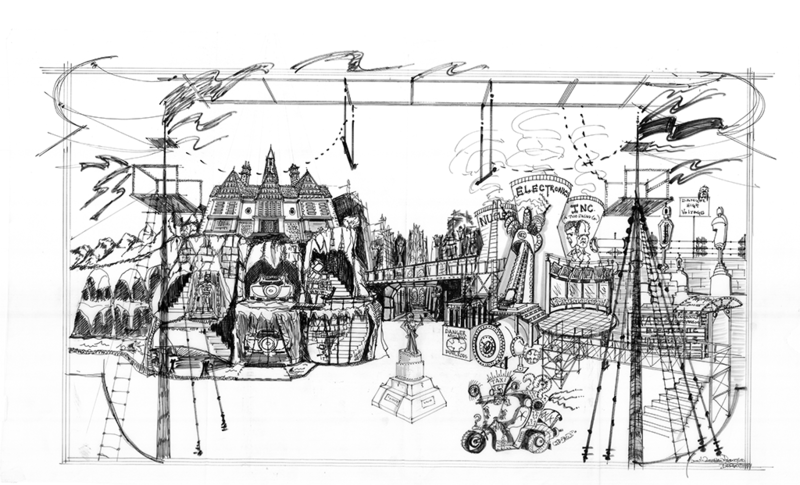 Looney Tune characters are drawn on the top of the prosceniums for each design. 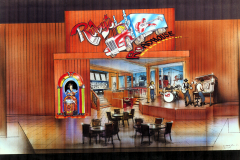 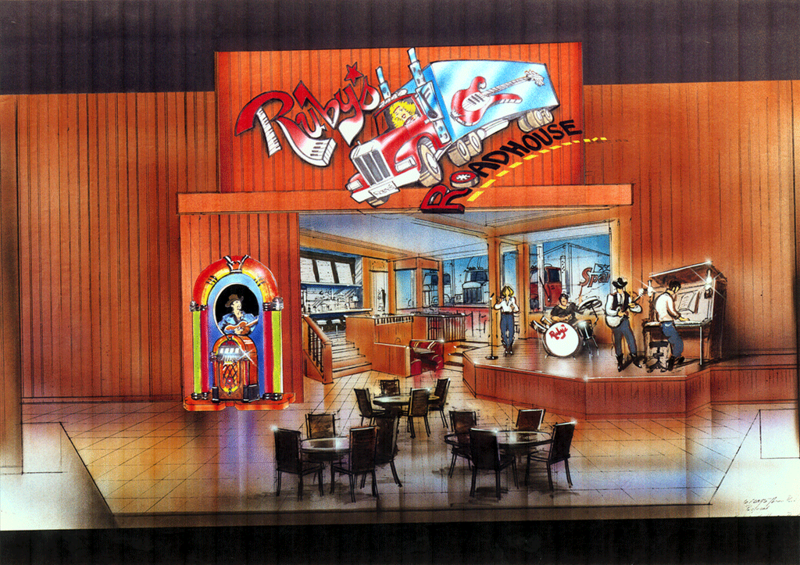 We also included the designs for a honky tonk lounge and entertainment venue called Ruby’s Roadhouse.